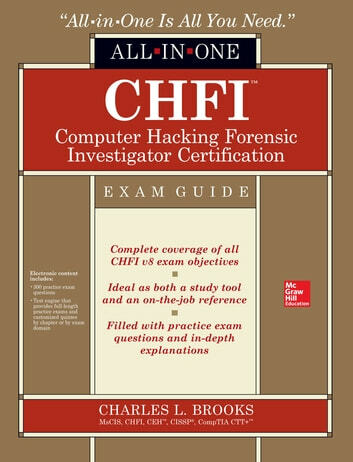 CHFI Computer Hacking Forensic Investigator Certification All-in-One Exam Guide | Rakuten Kobo. Of krijg het voor 28000 Kobo Super Points! Get complete coverage of all the material included on version 8 of the EC-Council's Computer Hacking Forensic Investigator exam from this comprehensive resource. 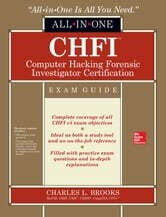 Written by an expert information security professional and educator, this authoritative guide addresses the tools and techniques required to successfully conduct a computer forensic investigation. You'll find learning objectives at the beginning of each chapter, exam tips, practice exam questions, and in-depth explanations. Designed to help you pass this challenging exam, this definitive volume also serves as an essential on-the-job reference.